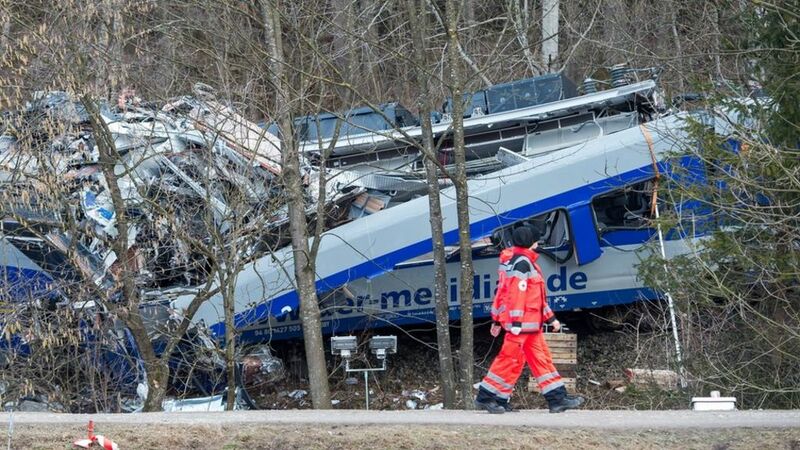 Human error by a train controller was to blame for a crash in Bavaria, Germany, last week that killed 11 people, prosecutors said. Dozens more were injured after two commuter trains collided on a single-track stretch of railway. An area controller opened the track to the two trains and tried to warn the drivers, according to the prosecutors. The man, a 39-year-old, is likely to be charged with involuntary manslaughter and could face five years in jail. Prosecutors say human error by a train controller was to blame for a crash in Bavaria, Germany, last week that killed 11 people.